The vast majority of concepts in graph theory are whole-number based. Invariants from chromatic number to arboricity only take on integer values. 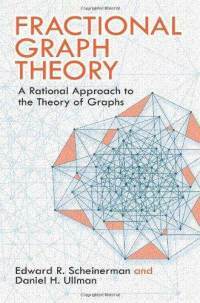 In this book the authors explore generalizations of core graph theory notions by allowing real values to substitute where normally only integers would be permitted. The aim is to prove "fractional analogues" of the theorems of traditional graph theory. EDWARD R. SCHEINERMAN is a professor in the Department of Mathematical Sciences at The Johns Hopkins University. DANIEL H. ULLMAN is an associate professor in the Department of Mathematics at The George Washington University. Introduction to Graph Theory: Definitions, Traversal, Analysis and Examples.